Christmas has come and gone, the arctic vortex is breaking up, so expect bad weather, but not until March, so why not come to Great Dixter garden and nursery at Northiam for the winter opening weekends on Saturday, February 23 and Sunday, February 24 and Saturday, March 3 and Sunday, March 4, before the next bout of really cold and snowy weather heads into East Sussex? The snowdrops are out around the semi-natural front pond used by the heavy horses who worked the land and along the (newly Tarmacked) entrance drive, a promise that winter won’t last for ever, and that once again, the preparation and planning of such a complex garden will result in a riot of colour and form so everyone who comes will be able to enjoy it. 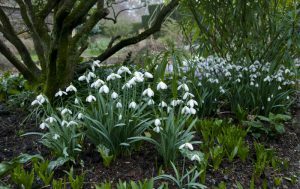 At this time of year, see the winter flowering shrubs, bulbs and hellebores to name but a few, or start your own spring planning with purchases from the plant nursery. In order to get the Great Dixter garden ready for the spring and summer, there has to be a structured timetable, composting and soil preparation and design planning before any weeding, management of self-sowers or timing of seed sowing can be thought about. The use of colour, texture and shape will be considered, along with repetition and balance in the design of the borders. Evidence of all this work can be seen in the pegs and sticks in the flower beds, in the weeded paths and precious covered plants. 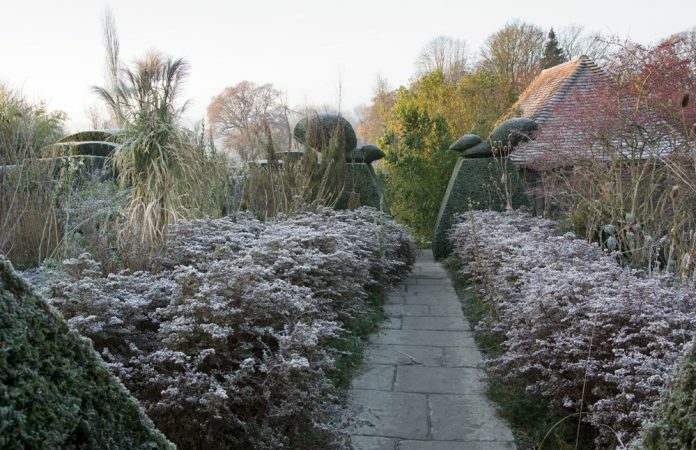 Great Dixter Garden, Northiam, TN31 6PH, is open from 10am until 4pm on the winter opening weekends, dates as above. The price is £5 for adults, children enter free. The house is closed but the shop and nursery are open.